Gainsborough Beds have taken up residence in their second showroom. The space at Harrington Mill, Long Eaton is designed to showcase product for northern based customers. In addition to the current range, Harrington Mill will also be used to display prototypes and new designs. The majority of the floor will feature Gainsborough’s beds, but there will also be a selection of their sofa bed range. 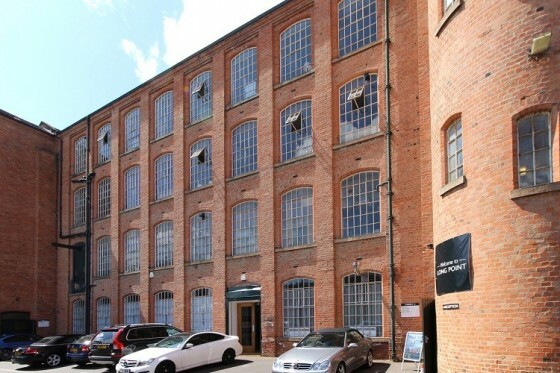 Long Eaton, of course, is normally associated with quality upholstery and eventually the ground floor studio space will be shared with sister companies Swanglen, Cavendish and Collins and Hayes. Andy believes that Gainsborough beds are a natural fit. “Long Eaton is synonymous with quality and craftsmanship, and so is Gainsborough. The Collins and Hayes customer would also buy a Gainsborough bed and vice versa. So having the two side by side is perfect synergy.” Having this permanent display space also means that Gainsborough will be showing at Long Point for the first time. Cavendish Upholstery, and Collins and Hayes will be in place by Spring Long Point but the Gainsborough and Swanglen ranges are available for viewing now.